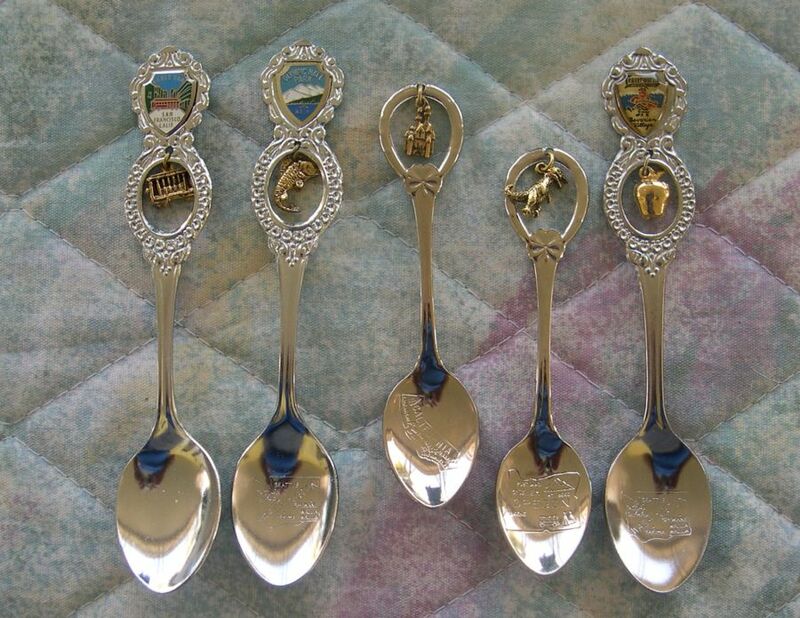 I have only posted a few silver plated spoons on this website as most silver spoon collectors are not interested in the modern spoons which are derisively referred to as "airport spoons". 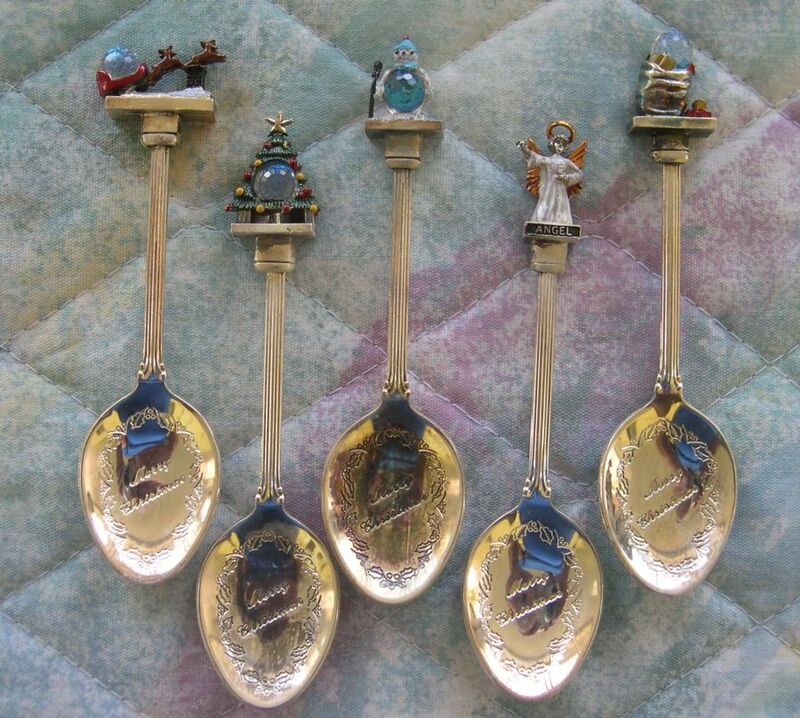 However, there are some people who collect these spoons and enjoy the many varieties that are available. These spoons are NOT valuable. New ones usually retail for under $10 and most used ones have almost limited or no resale value. 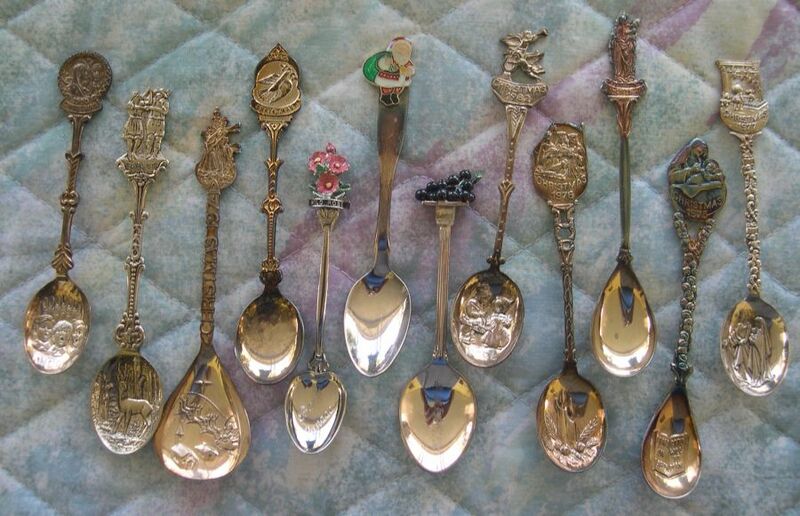 Recently Imelda Frunt of Canada donated her collection to the museum and I am showing some of these spoons here and on the next page. as there are probably in excess of 100,000 different styles of modern spoons. I am NOT interested in purchasing silver plated spoons. 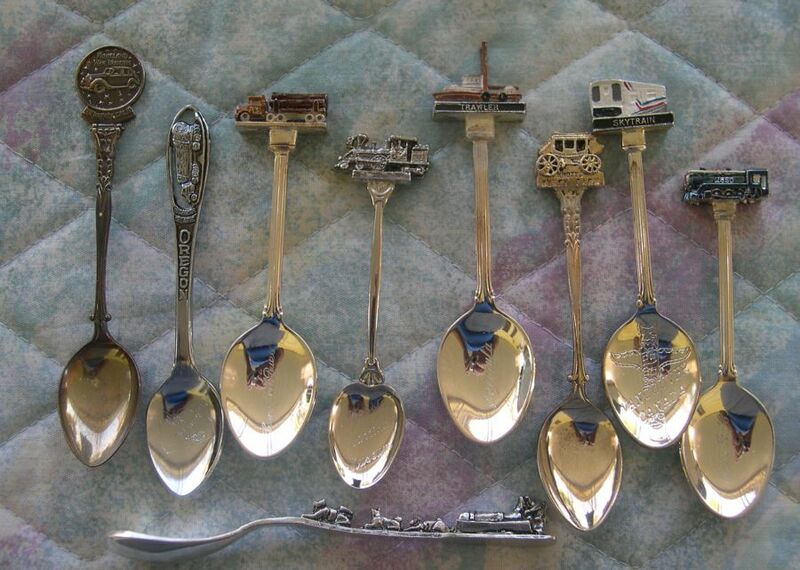 a trawler spoon, a stage coach spoon , a skytrail spoon. more dog sled spoons can be seen in the animal transportation exhibit . 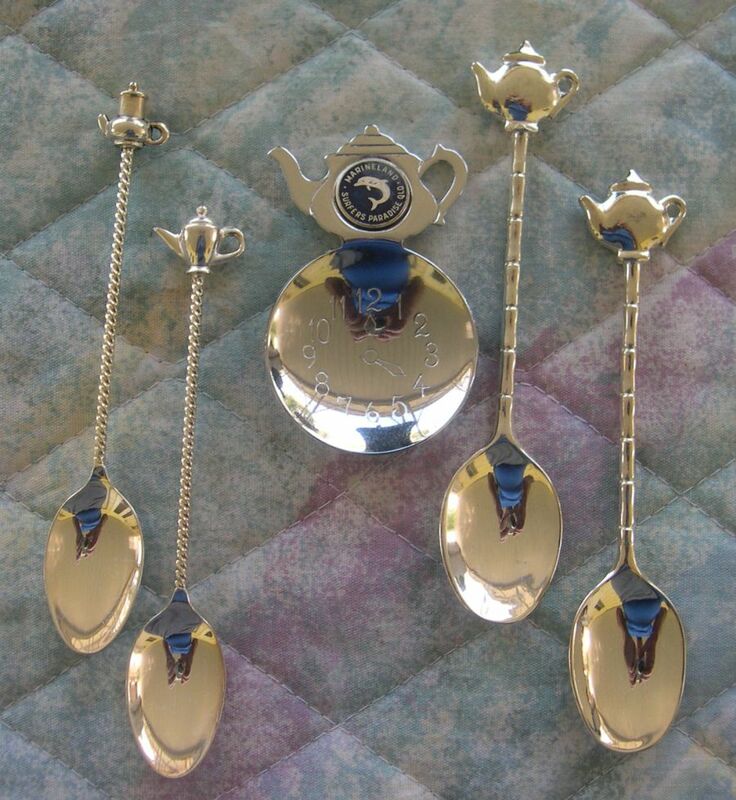 I believe that there are a number of different spoons featuring tea kettles.